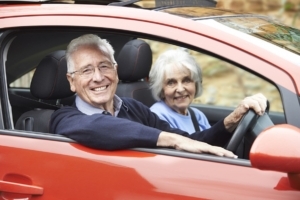 Does having dementia mean you need to cease driving? Home/blog/Does having dementia mean you need to cease driving? Dementia is a deteriorating cognitive condition that differs in severity for each individual, and its prevalence continues to increase. It can negatively affect people’s short term memory, attention and decision making, which are all cognitive skills that are required for driving. The severity and progression of the illness will determine if a person is at the stage where they are no longer able to drive. When an induvial has a diagnosis of Dementia, they have a legal requirement to notify the Roads and Maritime Service (RMS) of their condition. Often, their treating medical specialist will do this on the person’s behalf. The treating specialist will complete an RMS Fitness to Drive form, which indicates if the person is fit or unfit to drive to RMS standards. If the specialist is of the opinion that the person is not medically fit to drive, this will be indicated on the RMS form, and the person’s licence will be cancelled. They will need to cease driving immediately. Doctors are limited in their ability to assess the specific impact of Dementia on individual’s driving capacity, as they are unable to observe a person driving on-road. Therefore, they will often state on the Fitness to Drive form that the person requires an Occupational Therapy driving assessment. In this scenario, the person is required to orgnaise a driving assessment with a qualified Driver Trained Occupational Therapist. The primary aim of the Occupational Therapy driving assessment is to determine if the person is driving safely and making the correct decisions. The Occupational Therapist does not focus on poor driving habits or minor driving errors, but assesses if Dementia is affecting the person’s ability to make crucial and timely decisions when driving. If the Occupational Therapist is able to determine that the symptoms of dementia is not currently affecting the person’s ability to drive safely, then this will be reported to the RMS and the person is able to continue to drive. However, if it is assessed that the person is making errors that are cognitive in nature and likely due to their diagnosis, the Occupational Therapist will report that the person requires additional driving lessons to see if they can improve and correct the observed errors, or recommend to cancel the person’s licence. The Occupational Therapist will often recommend driving lessons before cancelling a person’s licence, unless it is evaluated that the condition is severe that the person will be unable to improve their driving performance, and lessons will not be beneficial. It must be noted that due to Dementia being a progressive medical condition, it will inevitably impact on a person’s driving ability, to the point where they are no longer safe to drive. However, as Dementia is unpredictable in nature, it can be difficult to make this determination. Therefore, the person’s treating doctor and the RMS requires periodic reviews to monitor its progression and the person’s driving performance. By Matthew|2019-04-15T13:14:34+10:00April 15th, 2018|blog|Comments Off on Does having dementia mean you need to cease driving?